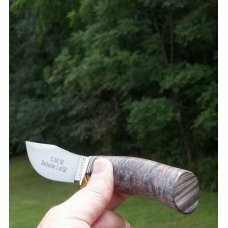 Marble's collectors, what a unique beauty I have for ya here...Violet Burled Maple in the famous Woodcraft pattern...its worth a look at the enlarged pics as in my syphering, this wood on this knife resembles Mammoth Tooth...alot of the same swirls and stripes, and the color, wow, one of the neatest Burl Maple wood in color and character I have ever seen !!! 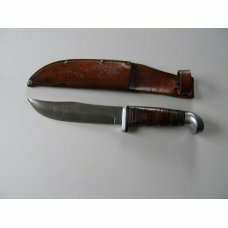 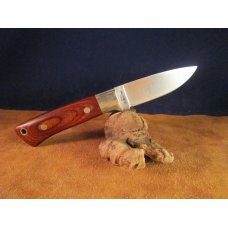 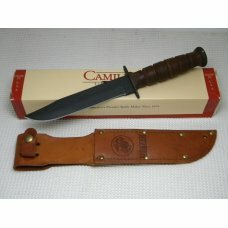 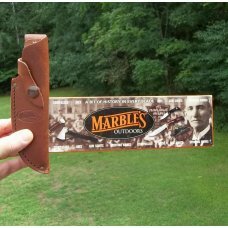 Folk's, the Marble's Woodcraft is one of the most instantly reconized knives that was ever made in the entire world !!! 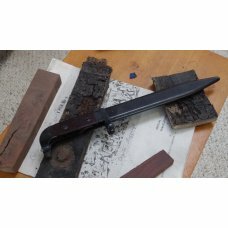 Patent applied for in 1915, W L Marble was quoted: Be it be known that I, Webster L Marble...have invented a new & original Design for a Blade of a new Hunting Knife...that patent was granted to Marble on Febuary 22, 1916...the Woodcrafts success not only in the USA but also around the world became legendary !!! 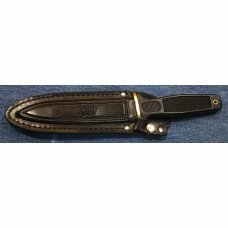 After the patent ran out in 1930,,, the Woodcraft became the most copied knife blade pattern by allmost every other knife company in the world !!! 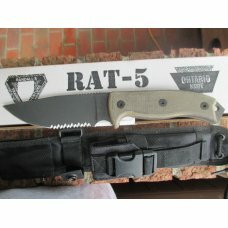 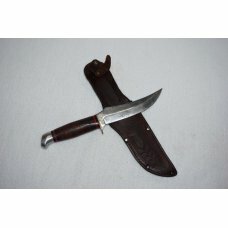 It was billed as a knife that could fullfill every demand the professional trapper, guide, or big game hunter could throw at it...it has most definately held up its end of the challenge !!! 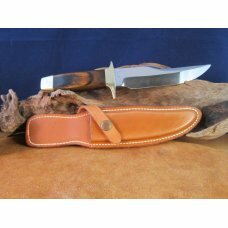 It is 2 knives in 1 to the user...a great knife to field dress big game & one of the very best skinning knives on the planet !!! 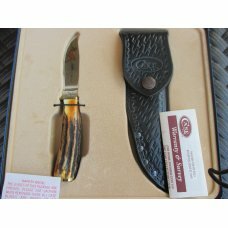 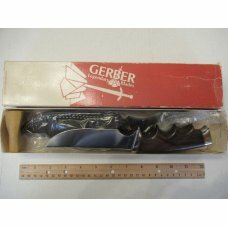 Knife is 1 of only 50 made...I believe this knife was made in 2002-2004, cannot quite remember, made in Gladstone Michigan, U.S.A. 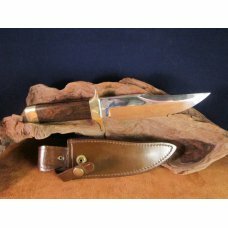 Please supersize pics on the next page for a close-up look at one of the most famous fixed blade hunting knives of all time !!! 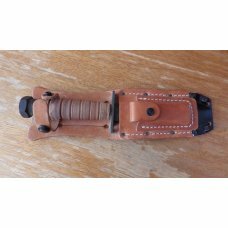 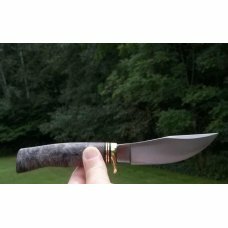 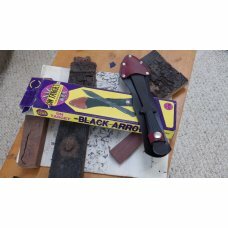 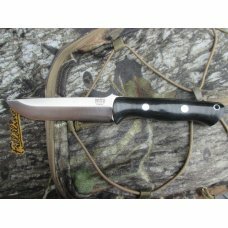 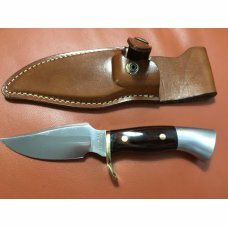 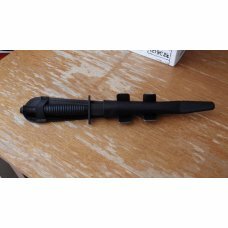 If this item is purchased with another item from Clear Creek Knives that has a shipping cost of $8.95 or more, standard shipping to US addresses for this item will be discounted to $2.00.